BRISTOL - A man found hiding in Bristol in June, wanted for murder and kidnapping in Puerto Rico, was extradited on Thursday to Puerto Rico to be prosecuted. John Carlos Crespo-Lopez, 31, is wanted in Puerto Rico as a fugitive from justice for two counts each of murder, conspiracy and kidnapping. He appeared Thursday, in Bristol Superior Court, where officials from Puerto Rico took custody of him. 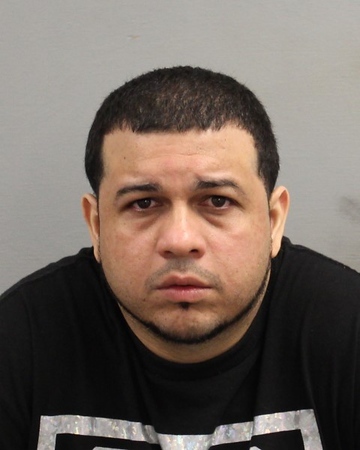 Crespo-Lopez was taken into custody June 29, at about 5 a.m., in an apartment at 57 Union St. Local police and United States Marshals from the Fugitive Task Force had checked another address with no luck before finding him on Union Street. He was charged by local police as a fugitive from justice. According to multiple reports from publications in Puerto Rico, Crespo-Lopez and five other individuals - who have already been arrested - allegedly participated in the kidnapping and killing of Juan Otero Calderon, 26, and Miguel Diaz Torres, 19. Police in Puerto Rico suspect the killings may have been carried out over a power struggle for drug points in Dorado. Calderon and Torres were killed on Feb. 1 and 3, 2014, respectively. Crespo-Lopez has been on the lam since May 30, 2014, when he was connected by authorities to the killings. During a previous hearing in Bristol, Crespo-Lopez waived his right to extradition and maintained his innocence, saying his $10 million bond was excessive. Posted in The Bristol Press, Bristol on Thursday, 13 September 2018 16:34. Updated: Thursday, 13 September 2018 16:37.